Manufacturer and exporter of sewing thread, coated and other fabrics. Suppliers and exporters of tapes, adhesive tapes, double side adhesive tapes, plate mounting adhesive tapes, industrial double side adhesive tapes along with PU adhesives. Wholesale suppliers, exporters and manufacturers of kraft paper tapes, polyester adhesives, aluminum foil tapes, conducting tapes, polyester woven tapes, polyester woven webbing tapes, insulation tapes, banding tapes, semi conducting tapes. 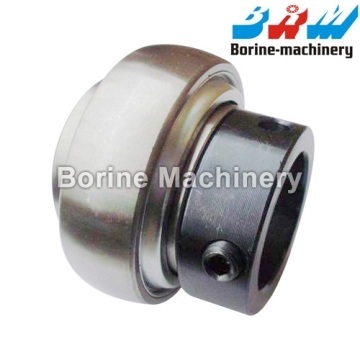 G 1206 KRRB Bearings location by eccentric locking collar, Convex outer ring with lubricating groove. 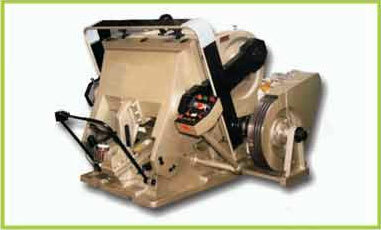 It is designed especially for extemely dirty or wet conditions. Bearings feature R-seals with flared lips which firmly contact the ground O.D.of the inner ring to provide a positive seal against dust, dirt and other contaminants and effectively retain the lubricant.Fits for Mobile mechanical engineering and Stationary mechanical engineering application. Deals in exporting and manufacturing of heavy duty packing adhesive tape, polyester tapes, ribbon, glue & gelatin, adhesive tapes, adhesive polyester tapes, electrical insulation adhesive tape, single sided adhesive tape, double sided adhesive tape, acrylic adhesive tape. Manufacturing, exporting and supplying of pressure sensitive film tapes, sensitive film tapes, clear adhesive films, transfer adhesive tapes, pressure adhesive tapes, self adhesive tapes, sensitive adhesive tapes, masking tapes. Exporting, manufacturing and supplying of acrylic adhesive tape, polyester tapes, adhesive tapes, adhesive polyester tapes, heavy duty packing adhesive tape, single sided adhesive tape, double sided adhesive tape, electrical insulation adhesive tape. Retailers and exporters of self adhesive packaging tapes, adhesive tapes, adhesive sealant tapes, self adhesive tapes, silicone adhesive tapes, industrial adhesive tapes, sealing tapes. Manufacturing, exporting and supplying of adhesive polyester tapes, acrylic adhesive tape, heavy duty packing adhesive tape, electrical insulation adhesive tape, single sided adhesive tape, double sided adhesive tape, polyester tapes, adhesive tapes. Deals in exporting and manufacturing of adhesive tapes, adhesive sealant tapes, industrial adhesive tapes, self adhesive packaging tapes, sealing tapes, self adhesive tapes and silicone adhesive tapes. Deals in exporting and manufacturing of tapes, adhesive tapes, double side adhesive tapes, plate mounting adhesive tapes, industrial double side adhesive tapes along with PU adhesives. Wholesale suppliers, exporters and manufacturers of heavy duty packing adhesive tape, polyester tapes, adhesive tapes, adhesive polyester tapes, acrylic adhesive tape, electrical insulation adhesive tape, single sided adhesive tape and double sided adhesive tape. Suppliers and exporters of silicone adhesive tapes, adhesive tapes, adhesive sealant tapes, industrial adhesive tapes, self adhesive packaging tapes, sealing tapes, self adhesive tapes. Retailers and exporters of conducting tapes, polyester adhesives, aluminum foil tapes, banding tapes, polyester woven tapes, polyester woven webbing tapes, kraft paper tapes, insulation tapes, semi conducting tapes. R. C. Mathur & Co.
Bansal Tea Products (p) Ltd.
New Pack Plastics Pvt. Ltd.
Montex Fiber Glass Ind P.l. Shah Mulji Shantilal & Co.
Amtec Health Care Pvt. 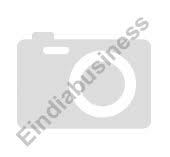 Ltd.
Lotus Tapes (india) P Ltd.